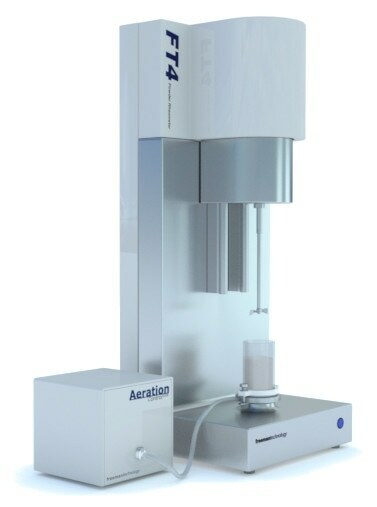 At AZO GmbH + Co. KG (Osterburken, Germany), one of the world's leading suppliers of automated raw material handling equipment, the introduction of the FT4 Powder Rheometer from Freeman Technology has revolutionised the company's approach to powder characterisation. Replacing older shear cell equipment and a basic powder tester, use of the FT4 has dramatically reduced the time taken to reliably characterise a new powder and enhanced AZO's ability to design and specify optimised solutions uniquely tailored to individual customer needs. 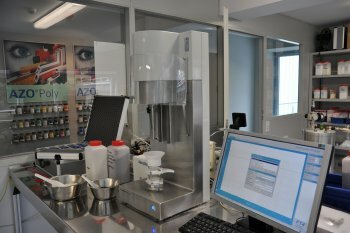 The FT4 Powder Rheometer is now the foundation of powder characterisation at AZO GmbH + Co. KG. By providing dynamic powder testing capability, the FT4 Powder Rheometer is giving AZO a new set of parameters with which to rationalise the in-process behaviour of powders. This additional information and extra insight is helping the company to develop new, more secure design protocols and to more efficiently identify optimal powder handling solutions for its clients. "The dynamic testing capability of the FT4 is allowing us to look at our powders in a completely new way,"remarks Michael Mayer, research engineer at AZO. "We're finding Basic Flowability Energy (BFE) [a dynamic parameter] especially useful because it differentiates powders so sensitively. It's now the test we first turn to when we get a new material. 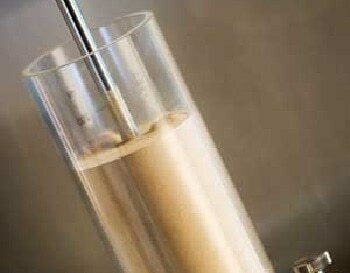 But aeration testing is really valuable too because it gives us insight into how the powder will behave in unit operations such as pneumatic conveying. The FT4 is fully automated, so all the testing is quick, easy and highly reproducible." The teams at AZO are finding that BFE data help to rationalise why certain powders behave well in certain types of equipment. This means that by testing just a small amount of material the company can now identify a suitable processing solution more confidently, ahead of plant trials, which require much larger quantities of material. 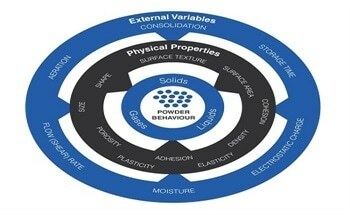 Other powder properties are also proving highly relevant to performance in specific unit operations. Work to fully exploit the potential of the FT4 is still in its infancy but the expectation is that over the long term it will enable the development of new design algorithms for key processes and significantly extend the company's knowledge base.